DESCRIPTION Welcome to this warm, inviting, beautifully maintained 2021sf character home in Richmond. One of the few 3 bedroom properties currently on the market, the floor plan offers a bright spacious living/dining room combo large enough for entertaining & intimate enough for family gatherings. The bright kitchen with island & breakfast nook shares the 3-sided gas fireplace with the stone-tiled family room. New and refinished Canadian maple hardwood on main and upper. Three good sized bedrooms upstairs, one with 4pc ensuite, two with walk in closets, plus the main 4pc bath. Expansive city views from master! A 4th bedroom, 4pc bath, huge rec room (or 5th bedroom), laundry, and storage comprise the 926sf developed basement. Natural flagstones define the back yard with porch, deck, raised garden, fruit bushes, and single vehicle detached garage. See additional remarks for list of upgrades. Close to Marda Loop amenities & schools. Move in ready - a MUST see! Home for sale at 2207 27 AV Sw Calgary, Alberts T2T 1J1. 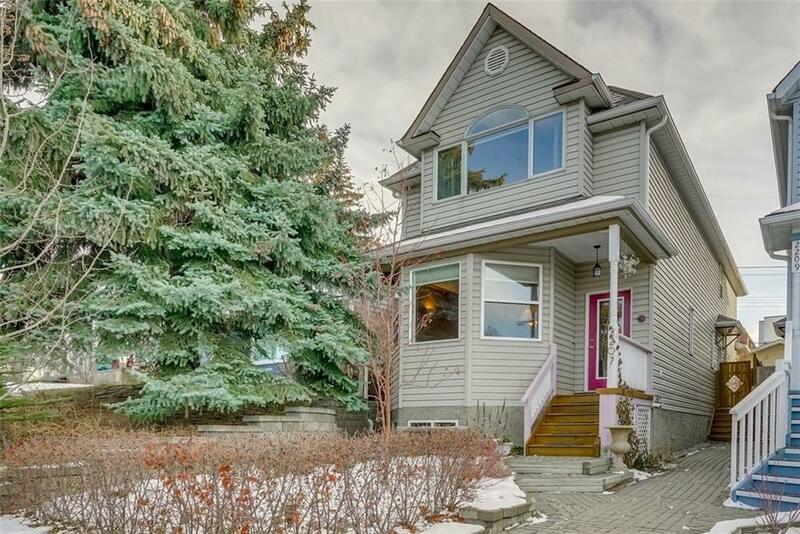 Description: The home at 2207 27 AV Sw Calgary, Alberta T2T 1J1 with the MLS® Number C4215873 is currently listed at $584,500.